A conference to mark the 350th anniversary of the birth of Jonathan Swift will be held from 7-9 June 2017 in Trinity College Dublin. For further information, please visit the conference website. Registration for 2016 ECIS Annual Conference Now Open! The 2016 Eighteenth-Century Ireland Society / An Cumann Éire San Ochtú Céad Déag Annual Conference will be held in National University of Ireland Galway on 10 – 11 June 2016. Plenaries will be delivered by Prof. Michael Brown (Aberdeen), Prof. Norma Clark (Kingston), and Dr Meidhbhín Ní Úrdail (UCD). Registration is now open. Go to http://www.ecis.ie/annual-conference/ for further details. The Centre for Eighteenth Century Studies, Queen’s University Belfast is hosting a conference entitled ‘Women’s Networks in Eighteenth-Century London and Dublin’ which will take place at the Music Building, University Square, Old McMordie Hall on Friday 27 May 2016. Please follow this link to download the full programme. 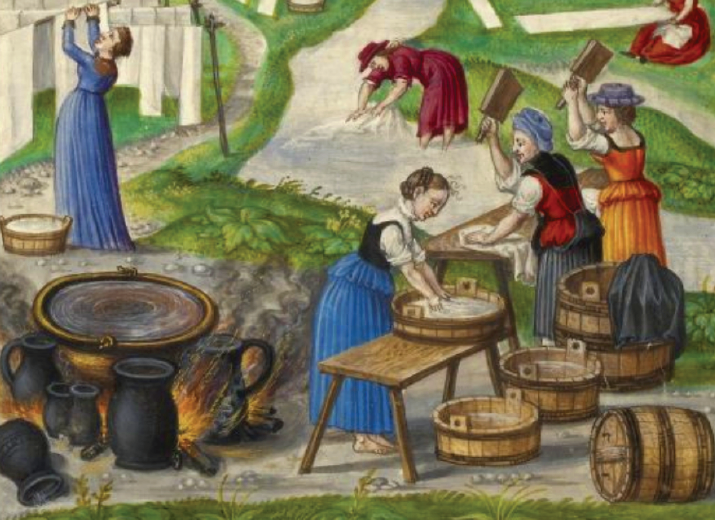 A one-day conference, ‘Women and Gender in Early Modern Britain and Ireland’, will be held in honour of Anne Laurence on 4 June 2016 at the Institute of Historical Research, London. Speakers will include: Prof. James Daybell, Dr Amy Erickson, Dr Gemma Allen, Prof. Mary O’Dowd, Dr Frances Nolan, Dr Rosalind Carr, Prof. Jane Humphries, Dr Judith Spicksley and Dr Amanda Capern. 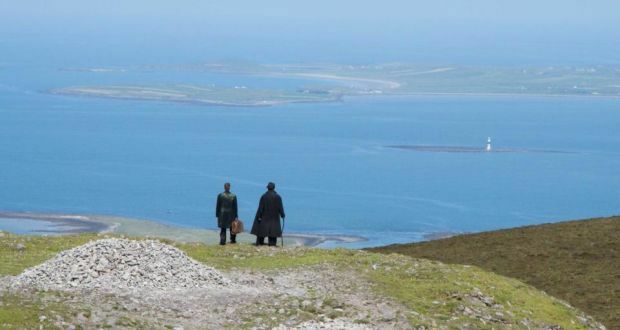 The Irish Protestant Playwrights Conference, will be held at the Moore Institute, NUI Galway on 1-3 June 2016. The conference will feature papers on a number of dramatists from the long eighteenth-century, including George Farquhar, Charles Macklin, Arthur Murphy, Elizabeth Griffith, Oliver Goldsmith, various Sheridans (to be precise, Thomas, Jr., Frances, and Richard Brinsley), and Maria Edgeworth. Keynote speakers will include Professor Seán Kennedy (St Mary’s University, Halifax) and Dr Emilie Pine (UCD). Further details about this event can be found on the Irish Protestant Playwrights website. 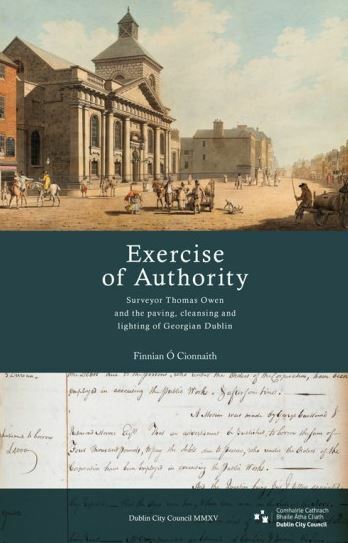 The launch of Finnian Ó Cionnaith’s new book Exercise of authority: Surveyor Thomas Owen and the paving, cleansing and lighting of Georgian Dublin is taking place on Wednesday 10 Feb at the Mansion House, Dublin. The book considers the work of the Dublin Paving Board and the ways in which this organisation controlled and maintained the streets of Georgian Dublin. It is the second in a series of books sponsored but Dublin City council on the history of engineering in the city. The Lord Mayor and Dr. Kieran Feighan of Engineers Ireland will be speaking at the launch. Follow this link to download an invitation to the launch. Follow this link for further information about Exercise of authority from the Four Courts Press website. 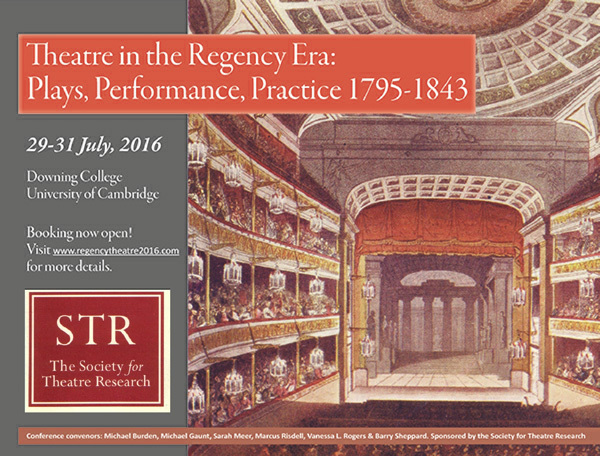 A conference entitled ‘Theatre in the Regency Era: Plays, Performance, Practice 1795-1843’ will take place in Downing College, University of Cambridge, on July 29-31, 2016. Early bird rates are available until 30 January 2016. This conference will explore the Regency Era’s dance, music and drama from a wide range of historical and methodological perspectives. The keynote address will be given by Celina Fox (The Arts of Industry in the Age of Enlightenment), and historical gesture specialist Jed Wentz (Conservatorium van Amsterdam) will present a lecture-performance. In addition, the conference will open with an introduction by Iain Mackintosh (Architecture, Actor and Audience) at the remarkable Cambridge Festival Theatre (built in 1814), providing a rare opportunity for conference attendees to see an original surviving Regency three-level horseshoe auditorium. Dr Eoin Kinsella (Irish Association of Professional Historians) will be presenting a paper entitled ‘Testing the limits of the penal laws’ at the next meeting of the Irish Historical Society on 17 November 2015. The meeting will be held at 7.00 p.m. in the Centre for Irish Programmes, Boston College Dublin, 43 St. Stephen’s Green, Dublin 2. The Dutch-Belgian Society of Eighteenth-Century Studies (DBSECS) annual conference will take place in Brussels on 10-11 March 2016. The theme of the conference will be ‘Flavours of the Eighteenth Century’. The organisers have been in touch to encourage ECIS members with an interest in the subject to consider participation. Click on this link to download the Call for Papers, which is open until 23 November. The Limerick Early Modern Studies Forum will host a two-day conference on 20-21 November on the theme ‘Moments of Becoming: Transitions and Transformations in Early Modern Europe’. The conference takes place at the University of Limerick. The fourteenth Dublin International Symposium on Jonathan Swift will take place from 2 pm to 5 pm on Saturday 17 October 2015 at The Deanery, Upper Kevin Street, Dublin 8. Respondent: Dr. Clíona Ó Gallchoir, Department of English, UCC. Address: Dr. Aileen Douglas, Associate Professor of English, Trinity College, Dublin. Tomorrow evening in the Royal Irish Academy member’s room, John Gibson, Chairman of the Dublin Decorative and Fine Arts Society, will give a talk entitled ‘Toile and Trouble: The Story of Toile de Jouy’. Ever since it’s invention by Francis Nixon in Drumcondra in 1752, Toile de Jouy has been more than just a home furnishing fabric. It has chronicled the leisure and interests of the bourgeoisie of the period, from the pastoral ideal of picnicking in the countryside, to hot air ballooning, contemporary literature, opera, and theatre. It has also been used by those seeking to subvert the establishment, as reflected by American revolutionary and other republican designs. 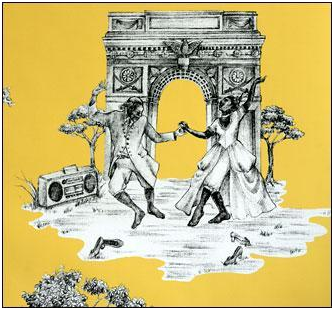 New generations of designers continued this tradition, from Ireland’s Sybil Connolly to New Yorker Sheila Bridges, whose Harlem Toile is pictured above. Our chairman, John Gibson, will explore the Irish origins and continuing relevance of this most unlikely of contested grounds. Wednesday the 7th of October, The Royal Irish Academy, 19 Dawson St. Doors open at 6.30 pm and the lecture begins at 7 pm sharp. In the summer 1706, three Protestant refugees from the last French war of religion arrived in London to prophesy the fall of Rome and Christ’s imminent Second Coming. They claimed to be inspired by the Holy Spirit, experienced bodily agitations and sought to revive the apostolic Church. Within two years, these ‘French Prophets’ counted nearly 500 followers, including Huguenots, Anglicans, Philadelphians, Quakers, Presbyterians, Baptists, Quietists and even Jews. Their movement launched missionary tribes after failing to resurrect one of their members from the dead and spread across Europe. They remained active in Britain until the late 1740s, reappearing sporadically among the first Methodists, Moravians and Shakers. The French Prophets sparked one of the greatest controversies in eighteenth-century England, marked by a prodigious battle of pamphlets on revealed religion and miracles, violent riots and a political trial. They were branded as ‘enthusiasts’, then a derogatory label for religious fanaticism, but one whose modern representation largely draws upon the hostile discourse of Augustan moralists. In his new book, Enlightening Enthusiasm: Prophecy and Religious Experience in Early Eighteenth-Century England (Manchester University Press, 2015), Lionel Laborie examines the nature of religious enthusiasm against the backdrop of the early English Enlightenment. It offers the first comprehensive approach to enthusiasm by looking at this multifarious issue from a social, religious, cultural, political and medical perspective. Based on new archival research, it challenges our modern understanding of this originally infamous term by dissociating religious experience from millenarianism, radical dissent and popular religion, to shed new light on the reality of enthusiasm in early Enlightenment England. The book can be ordered from Manchester University Press. Follow this link for further information. The first collected edition of James Macpherson’s Ossian poems, The Works of Ossian was published in two volumes in 1765. To mark the 250th anniversary of this significant cultural event and the development of a new online resource, Ossian Online, a one-day symposium and public lecture will be held in the Royal Irish Academy, 19 Dawson street, Dublin on Friday 4 September 2015. Reflecting the diversity of Ossian’s appeal, the symposium will feature speakers from a range of disciplines, presenting papers on new and recent research on Macpherson’s work. These talks will present new perspectives on familiar topics such as the role and meaning of Ireland in Ossian and Gaelic sources for the poetry, alongside considerations of the current status of Ossian studies in the academy and its potential place in public humanities. Digital humanities projects that focus on Ossian are represented by presentations on Ossian Online and on network analysis of the Ossian corpus. The symposium concludes with a public lecture by James Mulholland (North Carolina State University) on “Ossian and the Global Crisis in Authenticity”. Attendance is free, but delegates are asked to register for the symposium on the Eventbrite website where you can also access the full programme. This symposium is supported by the Irish Research Council’s New Foundations Scheme. Ossian Online is supported by the Moore Institute; School of Humanities, National University of Ireland, Galway; and the National Library of Scotland. The American Society for Eighteenth-Century Studies will hold its annual meeting in Pittsburgh, PA on 31 March to 3 April 2016. The Irish Caucus is given two panels at the annual ASECS meeting. Please see the descriptions of these panels below and consider proposing a paper for one of them. Graduate students and junior scholars are especially encouraged to submit proposals. Abstract of your paper (approximately 300 words) can be sent to Scott.Breuninger@usd.edu by 15 September 2015. Over the past decade, scholars of the Enlightenment have increasingly recognized the contributions of Ireland to broader strands of eighteenth-century thought and the place of Irish thinkers’ work within the context of European and Atlantic intellectual movements. This research has spawned an increasing number of essays, books, and conference panels, illustrating the vitality of debate concerning the Irish dimension of the Enlightenment and collectively helping to define the nature of the Irish Enlightenment. This panel welcomes participants whose work focuses on Irish thought and/or its relationship to the Enlightenment world, especially papers that utilize new methodological approaches to the study of intellectual history; including (but not limited to) models drawn from the digital humanities, global history, and/or gender studies. During the long eighteenth-century, warfare and violence was inscribed upon Ireland. The century began in the wake of the Battle of the Boyne and ended with the aftermath of the Rebellion of 1798. Between these irruptions of conflict, Irish life was transformed by a series of internal rebellions and international wars. This panel welcomes papers that explore how these destructive forces shaped the lives of people in Ireland during this period (politically, religiously, economically, socially) and/or how they were represented in popular culture (theatre, literature, history). Follow this link to visit the ASECS website for further information. ECIS Conference Registration Closes Today! Please note that online registration for the ECIS Annual Conference to be held on 12-14 June 2015 in University College Cork will close at 8pm today. Please register as soon as you can! See our Annual Conference page for further details. University of Limerick, Ireland, 20-21 November 2015. The aim of this interdisciplinary conference is to explore the theme of ‘becoming’ in early modern European and Irish culture. The early modern period itself is often understood as a time of transition, but how did the people of the sixteenth to eighteenth centuries experience periods of transformation/transition in their own lives and work, and how were these processes accomplished and accommodated? Conference papers will explore changes to personal, professional, religious or political identity and identifications, as well as understandings of transformations of state, status and nature more broadly. Plenary Speakers: Professor Daniel Carey (NUI Galway), Professor Raymond Gillespie (Maynooth University), Professor Alison Rowlands (University of Essex). Please submit an abstract of about 250 words to Richard Kirwan (Richard.Kirwan@ul.ie) or Clodagh Tait (Clodagh.Tait@mic.ul.ie) before 10th July 2015. This conference will occur under the auspices of the Limerick Early Modern Forum of the University of Limerick and Mary Immaculate College. The conference is funded by the Irish Research Council New Foundations Scheme. 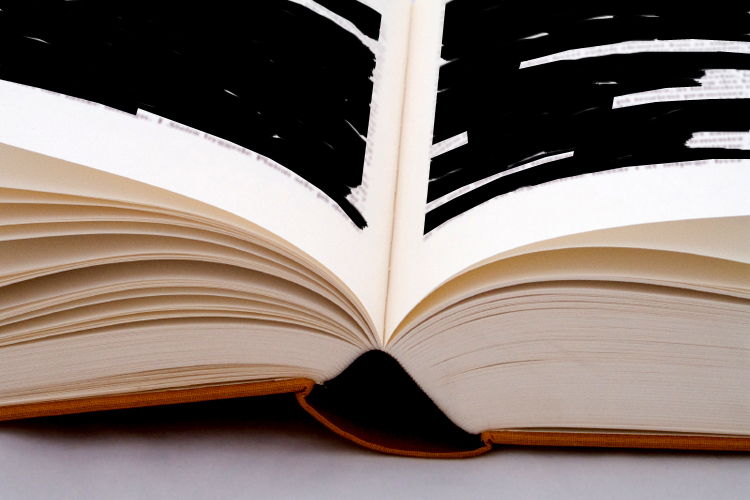 The organisers plan to publish a volume of essays drawn from the conference papers. The Centre for Eighteenth Century Studies at Queen’s University Belfast is holding a Study Day on Dublin Court Culture on Friday 22 May 2015, from 10:30-5:00, in the Music Building on University Square. All are welcome to attend the papers; complimentary tea and coffee will be provided; £6/£3 tickets (available on the day) offer entrance to lunch and the concluding reception. Registering intentions to attend (for catering purposes) is encouraged. 5:00: Reception, Old McMordie Hall, Music. You are invited to the 2015 CECS Urban Culture Lecture, which takes place on 30 April at 4pm. The speaker is Dr Anthony Malcolmson, who will present “Nathaniel Clements and the development of north Dublin, c.1730-c.1760.” The venue is Queen’s Film Theatre, Screen 1. University Square, Belfast. No advance booking necessary. 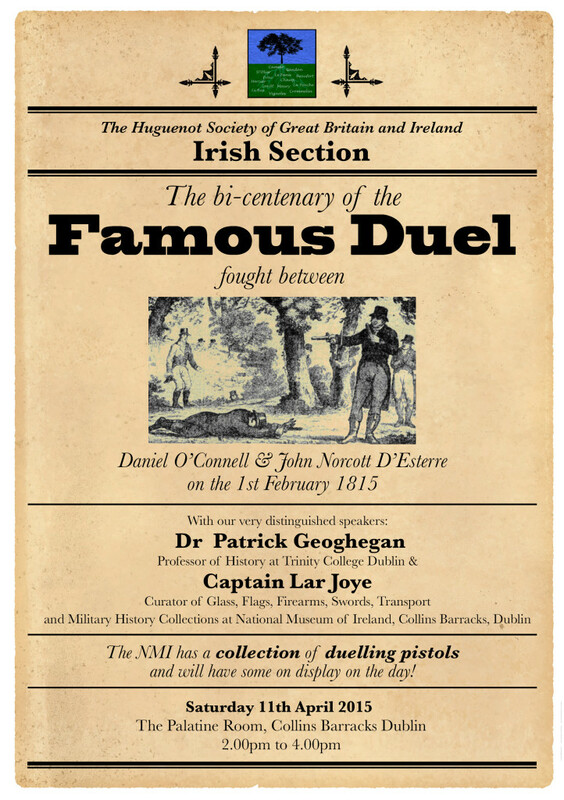 The Irish Section of the Huguenot Society of Great Britain and Ireland is hosting a commemoration of Daniel O’Connell’s duel in 1815 with John d’Esterre on Saturday at 2pm, 11th April in The Palatine Room, Collins Barracks, Dublin. Patrick Geoghegan of TCD and Lar Joye of the National Museum will be speaking. Back issues of the journal may be obtained by contacting the society treasurer, Dr Christina Morin. The Eighteenth-Century Ireland Society is pleased to announce two bursaries for postgraduate students presenting papers at this year’s conference. The bursaries will cover registration, special student membership of the Society (including copies of Eighteenth-Century Ireland for 2012 and 2013), and the attendance at the conference dinner. The Foro Jovellanos Foundation www.jovellanos.org, would like to warmly encourage you to contribute with an article to its academic Journal Cuadernos Jovellanistas. De la Ilustración a la Modernidad (previously Cuadernos de Investigación). 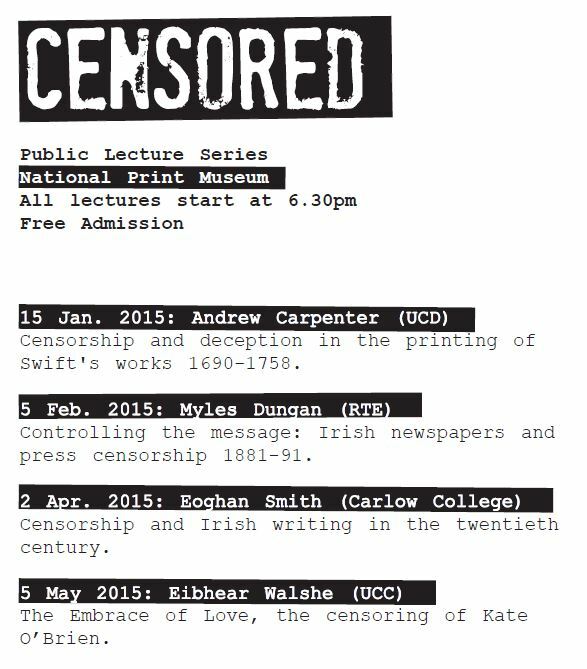 Professor Andrew Carpenter will be delivering a public lecture entitled ‘Censorship and deception in the printing of Swift’s works 1690-1758’ at the National Print Museum this Thursday, 15 January 2014, at 6.30pm. This event is free of charge and all are welcome to attend. 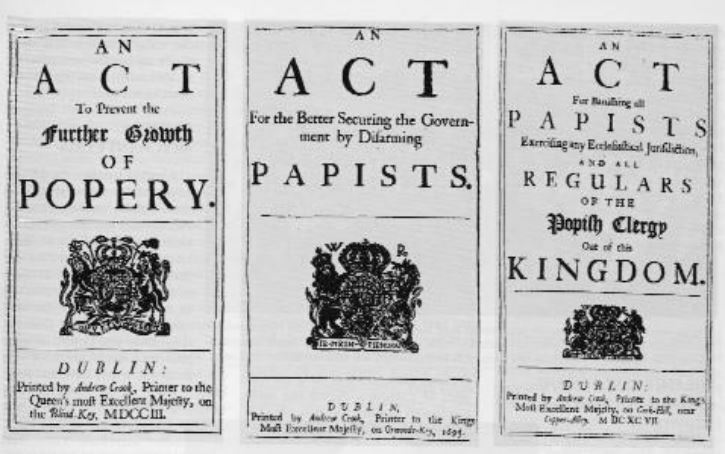 Professor James Kelly (St Patrick’s College, Drumcondra) will be delivering a public lecture entitled ‘The Control of Print in Eighteenth Century Ireland’ at the National Print Museum this Thursday, 4 December 2014, at 6.30pm. This event is free of charge and all are welcome to attend. 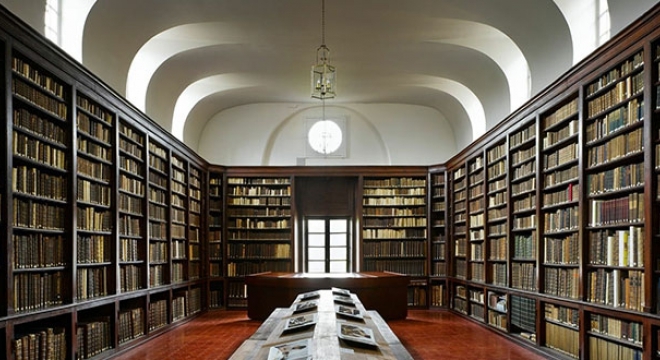 The Centre Culturel Irlandais / Irish College Paris is offering two Fellowship bursaries to encourage research on its Old Library and Historical archives. The purpose of the Fellowships is to establish the intellectual and academic value of the holdings. Armagh Public Library will host the first ‘Rokeby Lecture’ when Dr Sarah McCleave, Director of the Centre for Eighteenth Century Studies at Queen’s University Belfast, will speak on the Georgian musical heritage of Armagh. 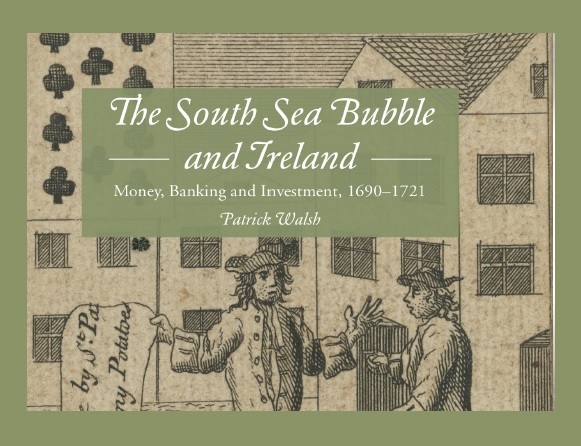 The launch of a new book by Patrick Walsh, The South Sea Bubble and Ireland: Money, Banking and Investment, 1690-1721 will be held at The National University of Ireland, 49 Merrion Square on Thursday 20 November 2014 at 6.00pm. Guest Speaker: Professor Louis Cullen (Trinity College Dublin). The next Eighteenth-Century Ireland Society/An Cumann Éire San Ochtú Céad Déag Annual Conference will be held in University College Cork, 12-14 June 2015. The Call for Papers is now open and available from our Annual Conference page.